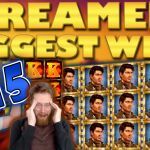 Today we take a look at the Casino Streamer Big Wins for week 26, 2017. Put in different terms - All the best and biggest video slots wins made on stream, during the 26th of June until the 2nd of July 2017. In similar fashion, as other weeks, we have a compilation video with all the wins. And like always, the clips follow a progressive order, which leaves the most insane of the wins for last. 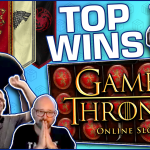 To illustrate better every hit, we also showcase each individual win, as posted by the streamer. In addition, we add a small review for each win, the bet size, as well as, the streamers reactions. And finally, if you like and want to try any of the games featured on today’s compilation! We start with NickSlots and his great bonus run on the Bust the Bank online slot. The Brit was playing on £1.80 bets at Calzone casino when he activated the bonus. Those of you that know this casino game, are familiar with the two wild reels during the feature. As well as, the extra spins players get for every scatter they land. But what players are hoping when they get the free spins, is a perfect combo with a high value symbol, on the 3 middle reels. And that’s exactly what Nick got. The result was a huge £810 win, and an extremely happy streamer. Bonus wins are fun and all, but nothing beats a good base game hit. And calling, David Labowsky’s win good, is a big understatement. The slot streamer was playing the Spinions slot game, last week, when the stacked wilds feature activated. David was playing on €2.5 bets on Super Lenny casino, and his expectations from this slot were not high. Everything changed, during the feature with more and more wild showing on screen. The final win was an astounding €800, one of the biggest base game hits in some time. Ow, and don’t forget the dance, the dance made the whole thing way more hilarious. The same win, the same bet, the same slot machine. - But different streamer. After Nick, it was time for Slotspinner to win big on the Bust the Bank slot game. And the wins were identical. The casino streamer was playing on a €1.80 bet when he got the bonus. With the two outermost reels wild and a combo line with the best possible symbol, the German got a massive €867 win. Head to Unibet casino, if you want to try this amazing slot, you can play it for real money. 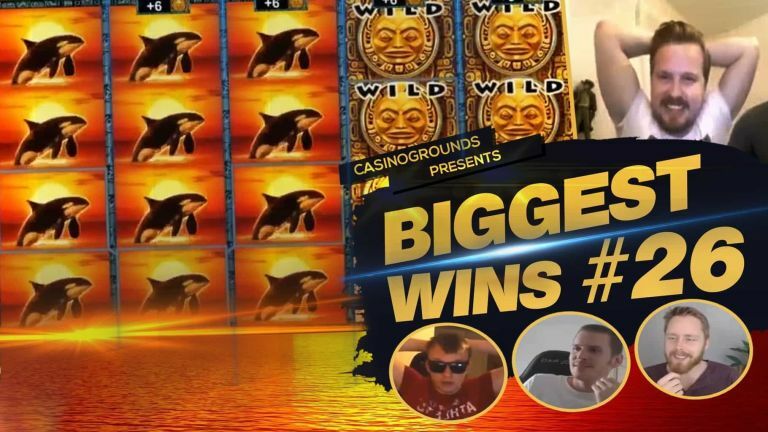 Next we take a look at MiikaPekka’s bonus win on the King Kong Cash casino slot. The slot streamer was playing €1 bet when he hit the bonus. The slot offers the option to gamble for a better bonus, and MiikaPekka was feeling lucky. His gamble paid off, taking him all the way to the “Golden Free Spins” feature. Here the player collects up to 10 wilds, during 10 spins. And on the last spin, all wilds fill the screen, while they dance around as long as they can make winning combos. A great bonus with a €315 total win. Try this slot on Maria Casino and let us know your opinion on the game. Rocknrolla also won big, last week. Playing his usual crazy bets, this time it was £10 bets on the Ted slot. The casino streamer triggered the bonus, and went all the way up to the best feature. The big money bonus kept giving multiplier after multiplier, and the final result was an epic £1800 win. 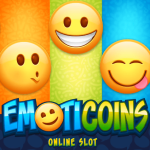 Try this slot game on Thrills casino and experience the, incredibly high, potential first hand. 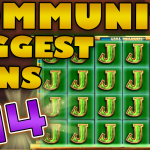 No slot streamers biggest wins segment is complete, without a huge win from the Merkur slots. This time it was the Magic Mirror Deluxe slot machine. CasinoTest was playing the super volatile slot on €1 bets when he activated the bonus round. Thanks to a superb run and a re-trigger, the streamer got an immense €561 win. 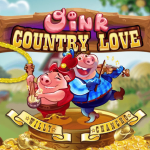 You can play this video slot along with all other Merkur games, on Casumo casino. Comebacks are one of the best things about casino streaming, and when they include stupendous wins, that makes them even more enjoyable to watch. To demonstrate, we look at Kim’s Novomatic session last week. Luck was not on our favorite streamer’s side, until he decided to try the Orca slot game. The slot streamer got the bonus spins on a €4, while playing at OVO casino. On the sixth spin the screen fills with the orca symbols, and wilds, giving almost a full screen. The total win was a staggering €3416. It doesn’t get better than that. Watch all of our clips on our CasinoGround’s YouTube channel.